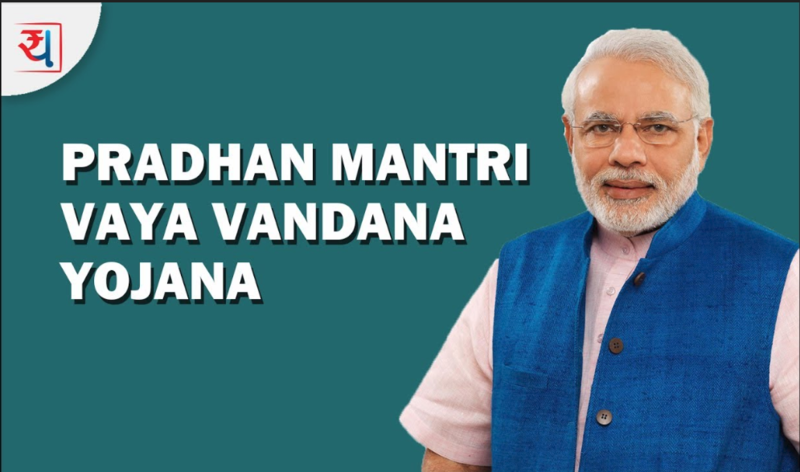 Pradhan Mantri Vaya Vandana Yojna stands for senior citizens who are 60 years and above. it has been announced by Government of India on 4th May, 2017. in this scheme senior citizens will get guaranteed return of 8 %. PMVVY policy can be purchased on online as well as offline. LIC has collected 2705 crore since launched, LIC has sold 58,152 policies. PMVVY policy plan number is 842 and plan UIN is 512G311V01. Age Limit :PMVVY policy was announced based on the pensioners’s age. pensioner has minimum age is 60 years completed and maximum age is not define here. if pensioner’s age was entered incorrect then policy will be cancelled and the surrender value will be paid for it. Policy Term : This PMVVY policy term is 10 years. Pension Mode : The Pension mode are monthly, quarterly, half yearly, yearly. Mode of pension payment should be through NEFT or Aadhar enabled payment system. Pension Benefit : Pension benefit is survival of the pensioner during the policy term. payment amount should be payable at the end of each period by choosing the mode, where mode are monthly/ quarterly/ half yearly/ yearly. Total amount of pension is 60,000. Death Benefit : During the Policy Term of 10 years policyholder may death that time purchase policy should be refundable. Maturity Benefit : At the end of the policy term of 10 years , the purchase price will refundable. Policy Loan : After the completion of 3 policy years, Loan facility may available. The maximum loan should be 75 % of purchase price as a granted. in commercial year 2016 – 2017 the applicable interest is 10 % p.a. loan amount is recover from pension amount. Surrender Value : During the Policy Term, pensioner may incomplete exit from policy by allowing the policy. like, pensioners are requiring money for the treatment of any critical condition of itself. in such cases surrender value payable is 98 % of purchase price. Tax Benefits : On this policy Government of India wants to the rate of tax as applicable from time to time as per the tax laws. in the scheme are exempt from income tax under section 80C of Income Tax Act, 1961 the deposit was made. the interest is not free from income tax but the interest earned on the deposit. for this policy scheme TDS (Tax Deduction at Source) are applicable. Rejection : Pensioner has been not rejection from this policy when any pensioner was suicide, you have to pay for policy when any pensioner may suicide. Free Look Period : During the free look period of 15 days, if the pensioner is not satisfied with the terms and conditions of policy that time he / she may return the policy to the corporation. corporation should be canceled the policy and return purchase amount of policy to pensioner. corporation may deducting the charge for it. Pension Mode : Pension payment mode are Monthly, Quarterly, Half-Yearly & Yearly. The first installment payment may paid after 1 year, 6 months, 3 months, 1 month. Assignments and Nominations : As per Section 38 of the Insurance Act, 1938 assignment as modify from time to time should be allowed. The pensioner go for the policy loan assignment in favor of LIC India should be in accordance with the policy was held by the corporation as security for the repayment of Loan and interest. the current provision of section 38 are a transfer or assignment of a policy of insurance, wholly or in part, whether with or without consideration, may be made only by an endorsement upon the policy itself. Nomination by the Pensioner is required as per Section 39 of the Insurance Act, 1938 as modify from time to time. The notice of nomination should be submitted for registration to the office of the Corporation. in registering a nomination the Corporation does not accept any responsibility to its validity. As per section 39 of the Insurance Act, 1938, as modify by Insurance Laws Act, 2015. where any nominee is a minor, it shall be lawful for the policy holder to appoint any person in the manner laid down by the insurer. to receive the money secured by policy in the event of his death during the minority of the nominee. Senatorial Changes : This policy are subject to variation in accordance with the relevant Legislation & Regulations. under this policy terms & conditions and benefits payable. Suicide : When any pensioner was suicide that time, Pensioner cant be rejection from this policy. in that situation or condition you have to pay for it and full Purchase Price shall be payable. Claim : At the office of the Corporation where this policy is serviced, the amount of policy expected to payable. but the corporation discretion at any time or any place of payment. pension payments should be released only on receipt of the Life Certificate. The Pensioner should be submit the discharge form that was along with the original policy document, proof of medical treatment of itself and proof of age. the pensioner should be submit the discharge form that was along with the original policy document and proof of age. Tax : If any imposed on this policy by the government of India Should be as per the tax laws and the rate of tax as applicable from time to time. in this policy tax pay should not be considered for the benefits payable. Customer can calling by using this toll – free number 155255 / 18004254732. Also customer can register its complaint on our website www.igms.irda.gov.in. Customer can send its complaint through courier service on this address Consumer Affairs Department, Insurance Regulatory and Development Authority of India, 9th Floor, United India Towers, Basheerbagh, Hyderabad – 500 029, Andhra Pradesh. Customer can send its complaint through Fax to 040-66789768.